What is the building process for a custom home in Greensboro? 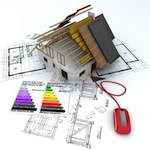 When it comes to designing, planning, and building your custom home, there are many steps. At R and K Custom Homes in Greensboro, we want your custom home building process to be as stress free as possible. But what is our custom home building process? The first step is our initial consultation with you and your family. We want to discuss your design ideas as well as your wants and needs when it comes to your new home. You may decide to use one of our many available design plans, or you may want to create your own. We will help you customize the building plan to meet your personal needs and budget while maintaining your vision. The next step in the custom home building process is the contract. A detailed set of specifications are included as part of the contract to answer the most common questions during the building process. The contract is approved and signed, then we can move on to the next step. The pre-construction meeting comes next. Before construction begins, we will meet with you to review the project, making sure that nothing has changed or needs to be corrected. We will review the construction and selection schedule, change orders, and allowance summary, so that you are kept in the loop about every detail of your custom home. Now construction on your custom home can begin. Our Operations Manager and Site Superintendent assigned to your home will supervise your project personally. There will be several site meetings during this step. These meetings are to ensure that everything is going along smoothly and on budget. The next step is the selection process. Every detail in your home is chosen by you: from bricks, lighting, and cabinetry, to colors and more. The details in your home should be exactly what you want. R and K Custom Homes will work hand-in-hand with you so that all your personal selections are coordinated throughout the home. The final walk through is the sixth step in the custom home building process. Before you close on your new custom home, you will have the opportunity to conduct a final walk through inspection with the R and K Custom Homes team. This is to assure a satisfactory completion. The final step is a meeting for orientation to your new home. We will discuss your closing package and any final details that may need attention. Your closing package will contain information relative to warranty, utilities, and caring for your new custom home. Call R and K Custom Homes in Greensboro, and we will get you started on the custom home building process today. We are passionate about what we do: “Crafting Homes… Building Memories”.